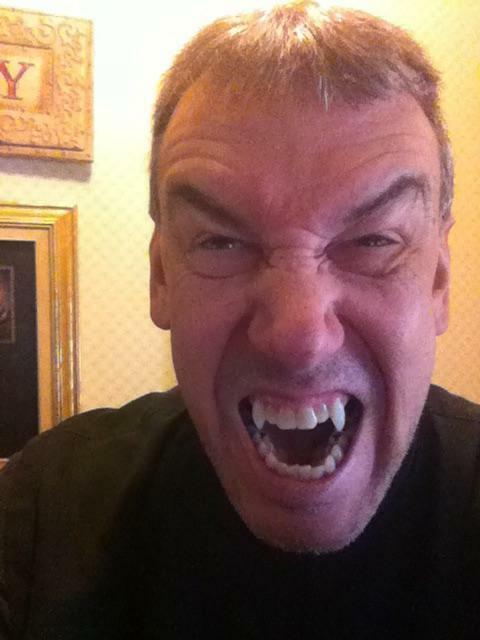 Welcome to the Stan Winston School of Character Arts Halloween Costume Contest! 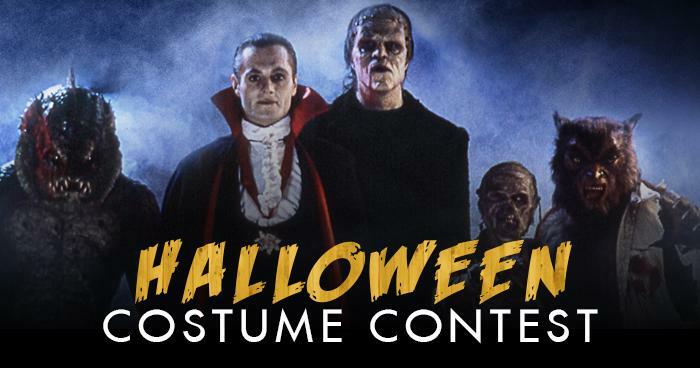 To enter this contest simply post a new discussion in the "HALLOWEEN COSTUME CONTEST" category. Please include a description and high rez pictures of your costume. Video submissions are cool too! Just upload your video to YouTube and share the link in your post. We'll consider Halloween costumes of ALL KINDS, including makeups, masks, suits and even bodypainting. The only requirement is that the submission is your original artwork. Have you made lots of amazing Halloween costumes? Not a problem! You can submit as many as 3 entries to the contest. So share your Halloween creations and you could win the Grand Prize! In addition to the Grand Prize winner, contest participants who make our TOP 10 will receive a 3-month UNLIMITED Subscription to Stan Winston School. All contest participants will receive a special promo code for 30% Off All Webcourses! (On-Demand, Live & Rebroadcasts) - Shortly after submitting a valid entry you will receive a private message here on the forums containing your promo code. Your submission will be reviewed by the team here at the Stan Winston School of Character Arts and judged based on quality of work. Prior to judging, you can update or remove your entries as often as you like. Once the contest has ended our judges will review all submissions and the winner will be announced. To be considered for the contest, all entries must be posted by November 2nd, 2015. We will select and announce the winning Halloween Costume on November 9th, 2015! Official Rules NO PURCHASE IS NECESSARY TO ENTER OR WIN THE CONTEST (“CONTEST”). Entry into this Contest constitutes your acceptance of these Official Rules from The Stan Winston School of Character Arts ("SWSCA" or "Sponsor"). 1. CONTEST ENTRY DATES: Contest start date and time, and end date and time are as outlined in the SWSCA Website(s) described below (“Contest Entry Period”). 3. CONTEST PRIZE: As indicated in contest sign up, as Sponsor may designate. 4. CONTEST ENTRY: All submissions must be the ORIGINAL WORK of the contest entrant, and received by the date and time outlined on the Website(s). For purposes of these Official Rules, “receipt” of Entry occurs when Sponsor’s servers record the Entry information resulting from contestants’ entry being posted in the SWSCA HALLOWEEN COSTUME CONTEST forum category. Any automated computer receipt (such as one confirming delivery of email) does not constitute proof of actual receipt by Sponsor for purposes of these Official Rules. By entering this contest, you grant SWSCA the irrevocable right to share your submission photos and/or videos on our website, email, and social media channels, copyright is retained by original author. Sponsor reserves the right to disqualify any Entry for any reason, in its sole and absolute discretion. Odds of winning depend upon number of entries received. 5. WINNER SELECTION: Within seven days from the end of the Contest Entry Period your submission will be reviewed by the team here at the Stan Winston School of Character Arts and judged based on quality of work. Once the contest has ended our judges will review all submissions and the winner will be announced. 6. WINNER NOTIFICATION: Winner(s) will be notified by email, and, if Sponsor so chooses, will be listed on a Website blog posting and Facebook wall. Winner(s) will be required to provide mailing address which will be used to fulfill any physical prize. 7. MODIFICATION OF RULES: Sponsor reserves the right to, at its discretion, reschedule the Contest, entry and/or end dates, modify the entry procedures, or cancel the Contest. Prize(s) are not redeemable for cash. 8. GENERAL CONDITIONS: Sponsor is not responsible for lost, late, misdirected, damaged, stolen, altered, garbled, incorrect, incomplete or delayed Entries, all of which will be void. Sponsor is also not responsible for problems related to technical malfunctions of electronic equipment, computer online systems, servers, or providers, computer hardware or software failures, phone lines, failure of any Entry to be received by Sponsor on account of technical problems, traffic, congestion on the internet or the Website, or for any other technical problems including telecommunication, miscommunication or failure, and failed, lost, delayed, incomplete, garbled, or misdirected communications which may limit a contestant’s ability to participate in this Contest. Sponsor is not responsible for any other errors or malfunctions of any kind, whether network, printing, typographical, human or otherwise relating to or in connection with the Contest, including, without limitation, errors or malfunctions with may occur in connection with the administration of the Contest, the processing or judging of Entries, the announcement of the prize or in any Contest-related materials. Mass entries generated by a script, macro or use of automated devices will be disqualified. Sponsor reserves the right to modify, suspend or terminate the Contest in the event it becomes infected by a computer virus or is otherwise technically impaired, and to cancel or suspend the Contest in its entirety should tampering, unauthorized intervention, fraud, technical failures or other causes corrupt the administration, security, fairness, integrity or proper play of the Contest and, if terminated, at Sponsor’s discretion, determine the Winner using all non-suspect, eligible entries received up to time of cancellation using the judging procedure outlined above. In the event of a dispute regarding entries received from multiple users having the same email account, the authorized subscriber of the email account at the time of Entry will be deemed to be the contestant and must comply with these Official Rules. Authorized subscriber is the natural person who is assigned the email address by the Internet Service Provider (ISP), online service provider, or other organization responsible for assigning email addresses. Sponsor reserves the right at its sole discretion to disqualify any individual (and void his/her Entries)) it finds to be tampering with the Entry process or the operation of this Contest or website, intending to annoy, abuse, threaten or harass any other contestant, Sponsor, or any of its representatives or to otherwise be acting in violation of these Official Rules. 9. MISCELLANEOUS CONDITIONS: Failure to comply with these Official Rules may result in disqualification from the Contest. Sponsor reserves the right to permanently disqualify any person it believes has intentionally violated these Official Rules. Contest subject to all federal, state and local laws and regulations. Void where prohibited by law. 10. ARBITRATION AND CHOICE OF LAW: Except where prohibited by law, as a condition of participating in this Contest, Contestant agrees that (1) any and all disputes and causes of action arising out of or connected with this Contest, or any prizes awarded, shall be resolved individually, without resort to any form of class action lawsuit, and exclusively by final and binding arbitration under the rules of the American Arbitration Association and held in Los Angeles, California; (2) the Federal Arbitration Act shall govern the interpretation, enforcement and all proceedings at such arbitration; and (3) judgment upon such arbitration award may be entered in any court having jurisdiction. Under no circumstances will contestant be permitted to obtain awards for, and contestant hereby waives all rights to claim, punitive, incidental or consequential damages, or any other damages, including attorneys’ fees, other than contestant’s actual out-of-pocket expenses (i.e., costs associated with entering this Contest), and contestant (or, if an eligible minor, his/her parent or legal guardian) further waives all rights to have damages multiplied or increased. All issues and questions concerning the construction, validity, interpretation and enforceability of these Official Rules, or the rights and obligations of contestants and Sponsor in connection with this Contest, shall be governed by, and construed in accordance with, the substantive laws of the State of California. Awesome! I love this time of year!